Georgian drama set against the backdrop of the country’s civil war which took place during the early-1990s. The film follows two young girls, Eka (Lika Babluani) and Natia (Mariam Bokeria), as they struggle to contend with the customs of their home country and the roles they are expected to adopt because of them. 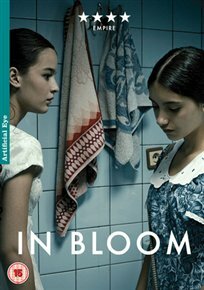 While the civil war continues in the background unseen, the two girls are faced with a multitude of problems in their home lives as well as dealing with the everyday issues of growing up in a society dominated by masculine attitudes.